Implementing our broad perspectives and rich marketing skills continue to pave our way towards new heights in the industry. We Numax Steels specialize in Manufacturing, Importing, Exporting a premium quality wide range of Stainless Steel Sheets, Plates & Coils. 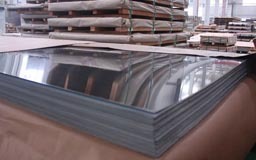 To match with the variegated requirements of our high valued customer base, we offer these sheets Stainless Steel Hair Line Sheets, tainless Steel No 4 Matt Pvc Sheets in distinguished sizes, thicknesses and dimensions. 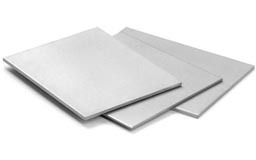 These SS Sheets, Plates & Coils, No.4 Matte Finish Stainless Steel Sheets are fabricated using graded stainless steel implementing advanced technology. This product, No.4 Finish, PVC Coated Stainless Steel Sheets, Stainless Steel Hair Line Sheets range is widely accredited for its outstanding characterizations like sturdiness, accurate dimensions, corrosion resistance and longer service life. 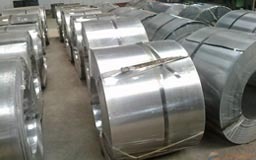 Stainless steel represents a group of high temperature and corrosion resistant steels. Stainless steel's exceptional resistance to corrosion is due to a high chromium oxide film which is formed on the surface. Eventually steel will corrode and be convert to rust. But when sufficient chromium (more than about 10%) is added to ordinary steel, transforming the oxide on the surface it is very thin,protective and virtually invisible in a wide range of corrosive media. Grade 304, 304L, 304H, 309, 310H, 316, 316L, 316H, 316Ti, 317, 317L, 321, 347, 904L etc. Stainless Steel Perforated Sheet, Steel Chequered Plate, Steel 304 Sheet, Steel 304L Coils, Stainless Steel Foils & Coils, Stainless Steel No 4 Pvc Sheets Supplier & Exporter in India. Canada, Conakry, Africa, Durban, Ibadan, Douala, Bamako, Indonesia, Benin, Soweto, United States, Lubumbashi, Kolwezi, Kano, Democratic Republic of the Congo, Kazakhstan, Harare, Maputo, Addis Ababa, Vietnam, Mbuji-Mayi, Cairo, Yemen, Accra, Fez, London, Chine, Sri Lanka, Pretoria, Saudi Arabia, Abidjan, Freetown, Argentina, Trinidad and Tobago, Ghana, Cyprus, Subra al-Haymah, Cameroon, Maiduguri, Germany, Nigeria, Singapore, Brazil, Houston, UAE, Ethiopa, Nairobi, South Africa, Russia, Thailand (Bangkok), Australia, Mogadishu, Kuwait, Abu Dhabi, Iran, Azerbaijan, Zaria, Port Harcourt, Oman, Luanda, Mozambique, Dubai, Rabat, Port Elizabeth, Brazzaville, Peru, Colombia, Ouagadougou, Dakar, Kaduna, Qatar, Yaoundé, Khartoum, Turkey, UK, Cape Town, Tunisia, Kampala, Egypt, Tripoli, Venezuela, Lagos, Omdurman, Alexandria, New York, Mexico, New Zealand, Kinshasa, Iraq, Colombo, Italy, Dar es Salaam, Uganda, Lebanon, Giza, Malaysia, Casablanca, Angola, Hong Kong, Jordan, Antananarivo, Morocco, Sudan, Algiers, Israel, Johannesburg, Bulawayo, Bahrain, Algeria. Cape Town, Hong Kong, Conakry, India, Dar es Salaam, Cairo, Muktsar, Sadar, Andhra Pradesh, Jaipur, Oman, Singapore, Mozambique, Benin, Venezuela, Lagos, Morocco, Ahmedabad, Karnataka, Algiers, Jamalpur, Mizoram, Kampala, Omdurman, Tripoli, Manipur, Bansberia, Bundi, Bulawayo, Chennai, Rabat, Maharashtra, Delhi, New York, Puducherry, Buxar, Ibadan, Casablanca, Algeria, Zaria, Addis Ababa, Russia, Ambala, Ballia, Mogadishu, Luanda, Dakar, Miryalaguda, Brazzaville, Cyprus, Tadepalligudem, Suryapet, Betul, Accra, Thailand (Bangkok), Nagapattinam, Abu Dhabi, Tripura, Kolkata, Lubumbashi, Mbuji-Mayi, Alexandria, Kolwezi, Ethiopa, Harare, Cameroon, Ouagadougou, Lucknow, Democratic Republic of the Congo, Pretoria, Kano, Udgir, Douala, Giza, Abidjan, Port Elizabeth, Colombo, Johannesburg, Kaduna, Khartoum, Kerala, Jordan, Surat, Durban, Benin, Baraut, Soweto, Bamako, Subra al-Haymah, Lebanon, Nairobi, Yaoundé, Kinshasa, Freetown, Pune, Ghana, Hyderabad, Antananarivo, Maputo, Yemen, Fez, Angola, Uganda, Maiduguri, Port Harcourt, Bangalore, Mumbai, Bhiwadi, Qatar.